I have quite a few books on the history of werewolves (yaaaay books!) and some of these books mention a creature known as the wodewose (also known as the woodwose). The name refers to either a group of men or outlaws living in the forest, or to a mythical being that has existed deep in the forests since early times. Obviously I’ll be covering the latter. Here’s the thing though, even though the wodewose is featured in these werewolf books, it may not actually be a werewolf. So here’s the deal, I’ll write about what is known about the wodewose and I’ll let you guys decide whether or not it’s a werewolf. Wodewose is the name given to a being found in England and parts of Europe. It has been described as being humanoid, large and hairy – kind of like what we imagine the Yeti or Bigfoot to be. Folks believed that the wodewose was a beast that was somewhere between man and animal. Scholars have argued that the idea of this man-animal comes from the image of Enkidu, the beast-man from the Epic of Gilgamesh. Enkidu is covered in hair and behaves like a beast, but only because he has been raised by animals. Later on, the wodewose became connected in the Hebrew mind with the Babylonian king Nebuchadnezzar II, who went temporarily crazy and lived in the wild for seven years, eating grass, raw meat and twigs, and attacking anyone that got too close. Alternatively, in England, the wodewose was associated with the wizard Merlin Wold, who had gone mad following the deaths of his brothers and took to living in the woods, feeding on grass and herbs. Creatures very similar to the wodewose can be found in many other countries, such as France and Germany, but they’re more like local gods rather than crazy men. So what does all of this info say? 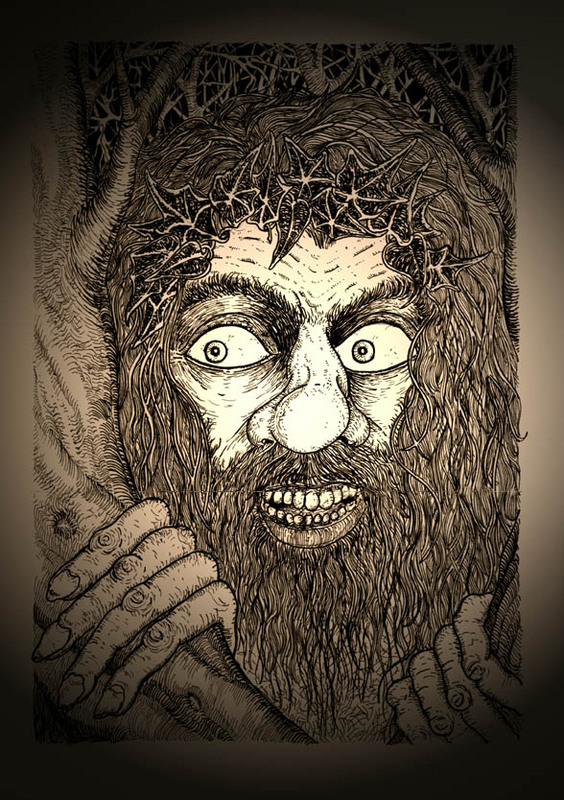 That the wodewose is mostly believed to be some man that went insane and lived in the wild. Why this information is in werewolf books is beyond me. But I’ll let you guys decide – do you think that the wodewose is a werewolf? I mean, it’s a possibility, the story of the wodewose is found all over, who’s to say that they are all psychotic men? Some of them may have been, but other might have been werewolves.